5 star hotel buffets are known to spoil the guests with ridiculously abundant choices of food, fresh ones, live cooking stations, to pre-cooked cornucopia of pretty food. But how much can one actually really enjoy before that bloated feeling starts to creep up and leave one feeling breathless and bloated walking out the doors? Having a bountiful of choices is good, but sometimes honestly, I don't need all that choices. It was an average day with no ongoing promotion or events, so what you see in my pictures are quite accurate representation of what one can expect when dining here in the evening on a normal day. 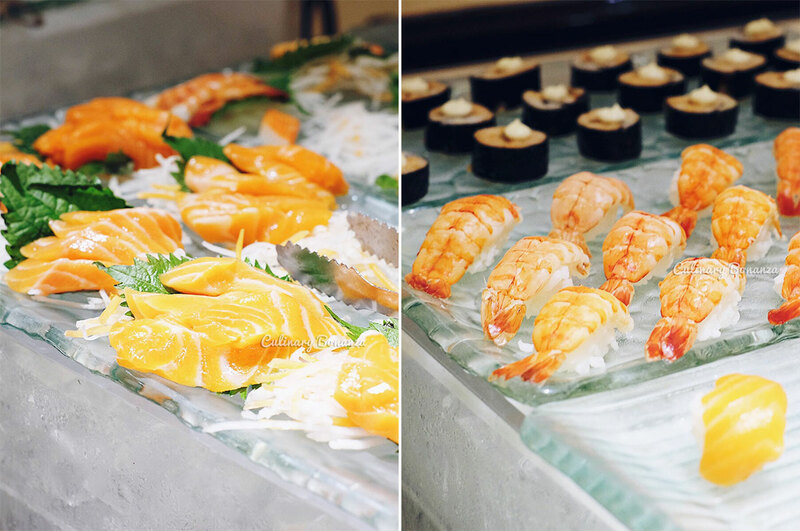 As it is an International buffet, one can expect the standard choices from cold appetizers, salads, fresh Japanese, Chinese, Western, Indonesian, dessert, as well as live cooking stations for pastas and noodles and rotisserie. The atmosphere at Le Gran Cafe is pleasantly calm in the evening, with chill and relaxed dinner crowd, a few business dinners, families and friends spread across the dining tables. As it is on the mezza nine level, with open balcony overlooking the ground floor, we were accompanied by the live band crooning at the lobby lounge below. There are a few MUST HAVE dishes from the buffet spread, which I personally tested and agreed hands down. First, the Lontong Sayur Mahakam (photo below), a heartwarming bowl of deliciously rich coconut gravy with 3 kinds of rice cakes and an assortment of toppings, the chili is optional, but it does add to the flavour. 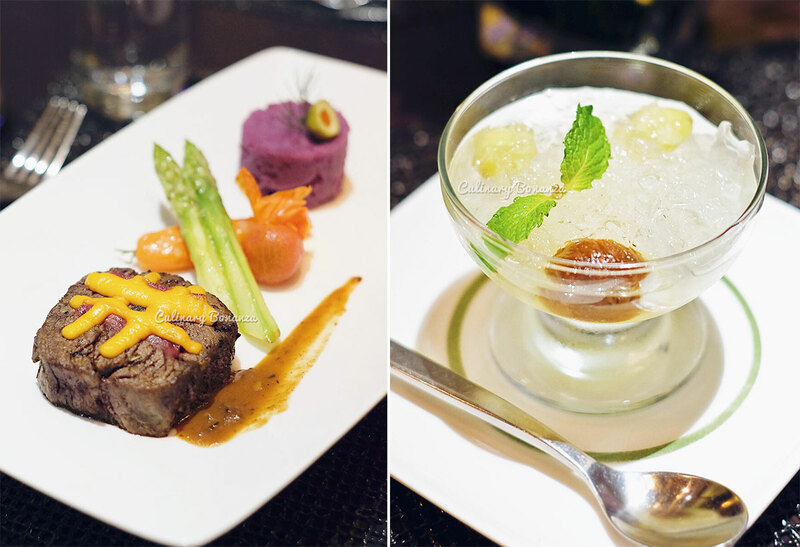 Basically Le Gran Cafe's execution of Indonesian dishes have been well known to be exceptional, so whatever you choose, it will be worth the space in your tummy. Also NOT to be missed when dining at Le Gran Cafe, is the the signature Chocolate Melt with Vanilla Ice Cream (photo below). This stuff is legendary. Period, just trust me and eat. 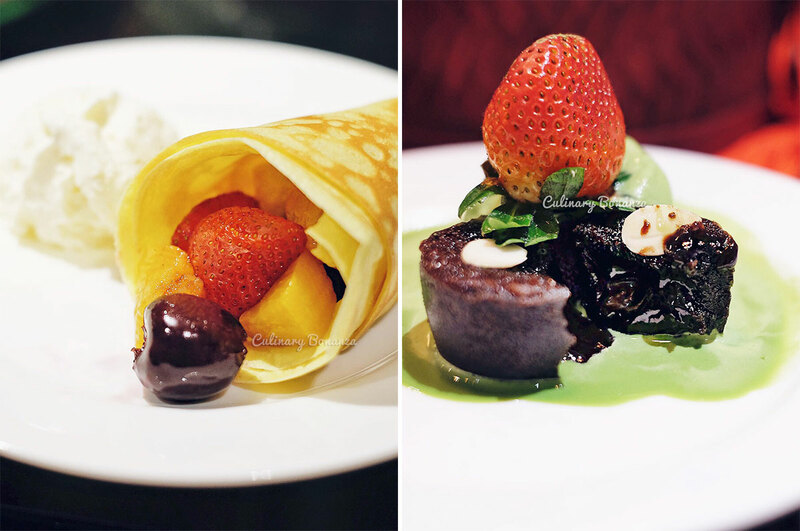 This year, Le Gran Cafe invites guests to celebrate Chinese New Year and Valentine's Day with the special menus, events and live performances lined up during the festive period. 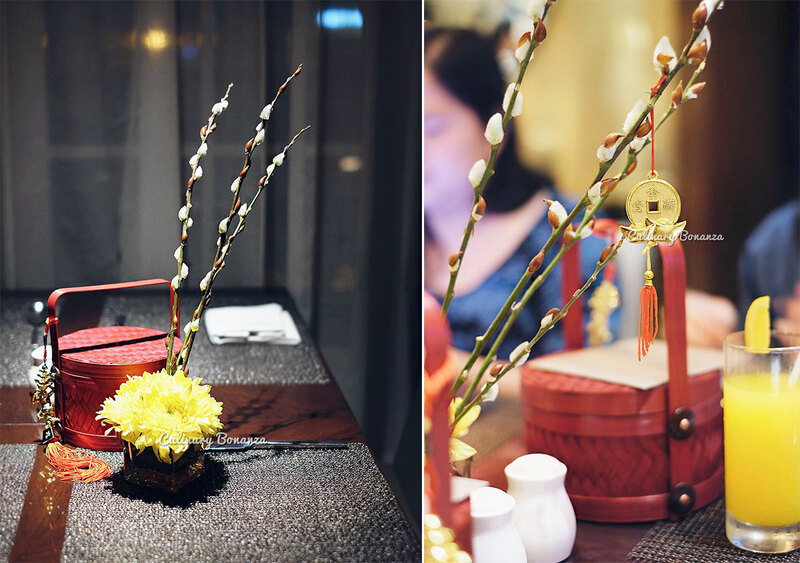 For CNY, among the special menus prepared by the F&B team is a classic healthy Chinese dessert that is not only tasty, but also enjoyed for the health benefit: Iced Bird's Nest with White Fungus, Dried Longan & Ginkgo Nuts. Well, some may choose to disbelief the true nutrition in bird's nest, but this is certainly way healthier than your average American dessert. Some of the menus lined up for CNY are: Exotic Fruit and Prawn Avocado Sauce, Szechuan Hot & Sour Soup or Bird Nest and Seafood Soup, Roasted Duck with Chinese Pancake serve with Hoisin Sauce or Steam Chinese Cabbage with Mushroom and Ham Brown Sauce. For you dessert lover, try our sweet treats like assorted Chinese pudding, Es Shanghai and Thai Coconut Pudding with Ceng Teng on Ice Bowl. 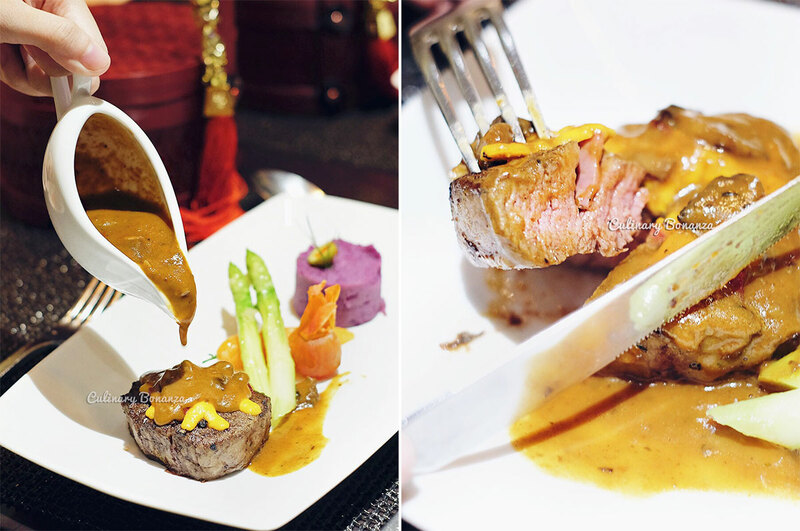 From the Valentine's day, guests will be served this incredibly tender Black Angus Steak served with vegetables, mashed purple yam and mushroom sauce, as the main course. Just look as the cross section of the steak and you can imagine its tenderness in your mouth. I also found the mushroom sauce to be exceptional and couldn't help but to clean the entire pot of sauce for myself *blushing. A glass of sparkling wine, a stalk of rose for the beloved and a photograph of memorable Valentine Dinner will be generously given to our guest who celebrates Valentine’s Day at Hotel Gran Mahakam. Le Gran Cafe is one of the few hotel buffet restaurants that's impressed me not because of the variety of food, but for the evenly spread quality of the dishes served. I guess this is one of the advantages of having a few F&B outlets to manage, which results in proper quality control. I would love to be back again for sure! Save Money with Paprika Cashback App!